This week, my Tuesday Treasured Tidbit post was about my having planted my baby lettuce in bags of top soil instead of building raised beds or, alternatively, digging in tons of compost into the backyard of this rental house. Wow! What a response I received to that post! Since it received so much attention, and I received so many questions about details, I decided to make my Friday Frolic all about what I know about Top Soil Bag Gardening. First of all, don’t over think it. Buy plain top soil – no additives necessary – which is usually fairly inexpensive. In my area, the 1 cubic foot bags are about $2.00 each. Second, rough clear the area you’re going to use for your garden. By this I mean to clear large brush items but there’s no need to clear existing grass and the like. The bags will smother it out for you. During the growing season, just keep the pathways between the bags clear of weeds and trim the grass that grows. Third, speaking of pathways, plan a bit before you lay down the bags and start planting so you leave pathways between the bags wide enough for walking and working. You won’t want to be stumbling around in the bags while trying to prune and harvest. Fourth, puncture the underside of each bag six to eight times to allow for drainage. There are a couple of schools of thought on this subject. Some folks puncture first, then plop down the bags. Others, like me, puncture the bags after cutting out the topside just before planting using a long screwdriver thrust down through the soil and through the bottom side of the bag. Fifth, just before planting, use scissors or other sharp blade to cut out the topside of the bag, leaving about a two-inch border all around like a frame (to hold in the soil and moisture). This is the point at which I plunge the long screwdriver down through the soil and the bottom side of the bag six to eight times to create the drainage holes. Sixth, start planting! You can plant seeds or seedlings – your choice. This style of gardening also allows you to start a bit earlier than planting directly in the ground because the soil is warmer because it’s above ground level. I recommend sticking with the almanac recommendations as far as planting goes. For instance, lettuce, broccoli, cabbage, cauliflower, brussels sprouts, some hardy herbs, and potatoes are some plants that I can start this early in my area. I need to wait until mid to late spring to put in my peppers, tomatoes and squash transplants. Finally, after the season, just pull out the dead plants to dispose of them. Lift up the bags and dispose of them. If you happen to be in a rental property and leaving before the next season, spread out the soil to enhance the surrounding area and leave an improved space for the next tenant. If you’ll be there for the next gardening season, bank up the piles to overwinter so you’ll have rich, ready-to-go platforms on which to place your bags for the next season. After a couple of seasons, all you’ll need to do to have ‘real’ raised beds is build the surrounds for them! Other questions I received pertained to how much can be planted in each bag. There’s no one answer to that question because it depends on the plant. Heavy feeders like tomatoes need to be limited to one plant per 1 cubic foot of soil. If you’re using larger bags of soil, you can put more plants in each bag. The best advice is to read the tag that comes with the plant or the instructions on the seed packet. Now, having said that, keep in mind, those spacing recommendations are based on average soil nutrients. Packaged top soil is a bit richer than that so you can space the plants/seeds a bit closer. I usually go by the recommendations given in my ‘square foot gardening’ book. I’ve been a proponent of square foot gardening for years because the principle is that if your soil is good, you don’t need a lot of space to have a successful garden. Besides quite a few good books out there, great information is available on the internet including planting charts. Using bags of top soil is a great, informal, low commitment way of getting started with that style of gardening without all of the digging. 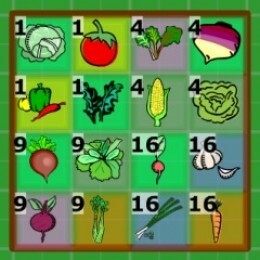 Just keep your mind open as you consider how to set up the ‘square foot grid’ to identify how and where to plant each type of plant. As the seasons go by you will be creating the perfect, amended soil base for a more formalized arrangement. Whew! I feel like I crammed a lot of information into this post. I hope it helped those of you who were hungry for more information about this simplified gardening method. Let’s keep the conversation going – enjoy your weekend!